Last June, DoCoMo unveiled the pocket-sized Portable SIM prototype that can be used to route calls to phones that don’t have SIM cards. 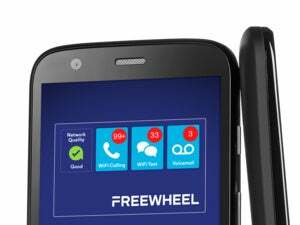 The company called it the world’s first SIM-based authentication device that can provide wireless network access. Multiple phone numbers, such as one for business and one for personal use, can also be linked to the same handset through the technology. DoCoMo, Japan’s dominant mobile carrier, has yet to decide when it will launch the Portable SIM App, or whether it will develop versions for iOS or other platforms.